Injection moulding is the most common method for the mass-production of plastic products. 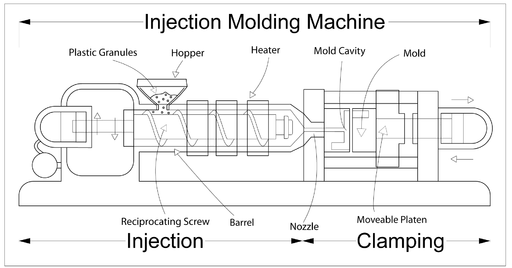 In principle, injection moulding is a straightforward process. Thermoplastic pellets are melted, injected into a mould, cooled and transformed into something useful. The reality is, though, that it’s a bit more complicated than that. In this blog post, we provide a brief introduction to plastic injection moulding. We will explain how it works and why it is useful. But before we get to that, we will look at the history of injection moulding. The first injection moulding machine was created by American inventor John W. Hyatt. As the industrial revolution gathered steam, a new breed of wealthy business owners in the Europe and the US suddenly found themselves with more opportunities for leisure. The sport of billiards became more and more popular. And elephants – who’s ivory tusks were used to make billiard balls – were being hunted into extinction. Staring down the barrel of higher production costs, Phelan and Collender – a New York manufacturer of billiard balls – offered a $10,000 prize to anyone that could come up with a synthetic alternative to ivory balls. Hyatt began to experiment with different plastic alternatives. He never did win the $10,000 prize. But he did conceive and patent a design for the first injection moulding machine. The first injection moulding machine used a plunger to push celluloid (one of the first thermoplastics) through a heated tube and into a mould, where it set. The original design wasn’t perfect. The plastic fed into the machine wouldn’t always heat evenly and could create inconsistencies when the product came out the other end. But the demand for mass-produced plastic components increased exponentially – especially during the Second World War. And it was just after the War that James Hendry would revolutionise plastic manufacturing with the creation of the screw-based injection moulding machine. More on that in the next section. Modern injection moulding machines come in lots of different sizes. But they all have three main parts – the injection unit, the mould and the clamp. These plastics need to be in the form of uniform pellets to ensure even heating. They can also be mixed with a colourant and recycled material to a job specification. The pellets are fed into the injection unit, which uses a reciprocating screw to push the pellets along a large barrel towards the mould. The flighting of the screw separates the plastic pellets into different portions and ensures that each portion is heated at the same rate. Friction from the screw also generates heat, which supplements the heat provided by heating bands around the barrel. This helps create a thinner, more evenly heated layer of molten plastic, which is easier to work with. When the plastic reaches the end of the screw and is fully molten, the screw thrusts forwards, injecting the mould with plastic. Coolant lines that run around the mould speed up the setting process. And when the plastic is (almost) fully set, the clamp opens, and the product is pushed out with special ejector pins. When you look at plastic products, they have tiny dots called witness marks. These are caused by the ejector pins pushing the plastic while it is still slightly malleable. 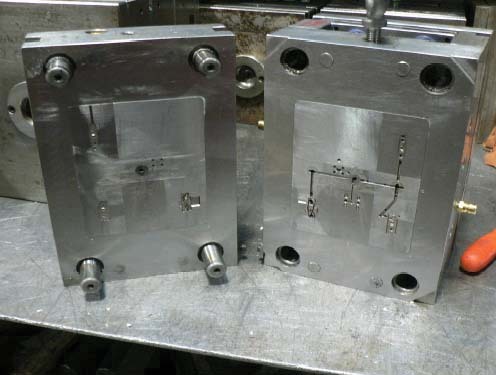 As well as an injection moulding machine, a good mould is the other essential for successful injection moulding. Moulds are usually made of two halves. The top half is the cavity, or the fixed half and the bottom half is the core, or movable half. Moulds need to be tough. They need to last a long time and be able to withstand repeated high-pressure injection of molten plastic. They also need to be very precise. For some purposes, the moulds need to be accurate to the nearest 100th of a millimetre. Each plastic product needs to have its own mould. 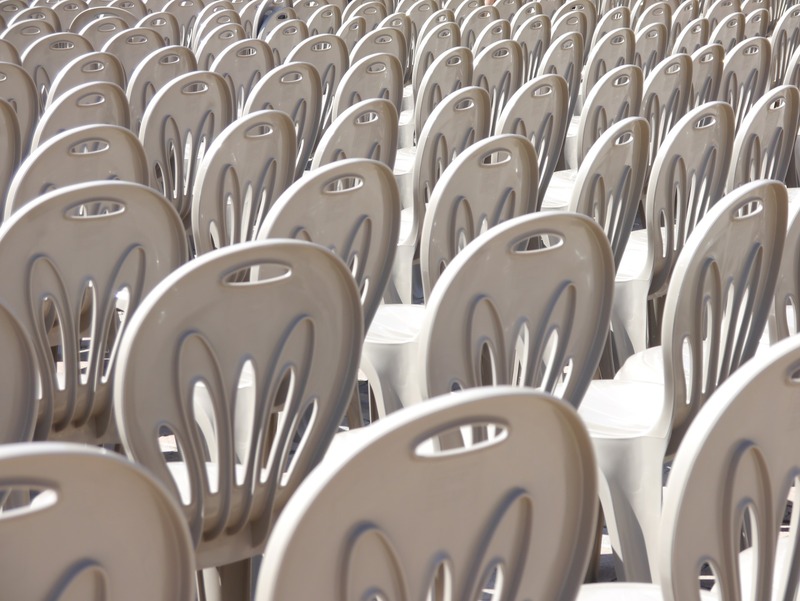 Large plastic products like garden chairs and buckets are usually made one at a time, with one product in each mould. When creating smaller products like plastic cutlery, it is more efficient to group products together joined up with scrap plastic in the middle. If you have ever made AirFix models, it is a bit like the throwaway bits of plastic connecting each component. But these extra bits of plastic can leave small imperfections on the sides of products, not ideal if you are creating a premium product. If their bricks are to fit together, Lego need to make their products free from imperfections. But they also need to make billions and billions of plastic components each year. To achieve precise mass production, Lego uses a slightly different method. When the molten plastic is injected into the mould, it is split into different channels and directed into separate moulds. This means that there is no scrap plastic connecting each brick and so there are no imperfections that could hamper Lego brick constructions. For more information or to discuss the requirements of a project, please speak to a member of our production team today. Call: 0161 477 2800.